We currently offer the Bachelor of Arts (BA) and the Bachelor of Science (BS) in Professional and Technical Communication. Both programs prepare students for entry-level positions as technical writers/ editors, content developers, or usability professionals, most commonly working on teams to create user guides, web content, and proposals in companies within the information technology, consulting, and healthcare industries. Students earning the BS will be especially well-qualified for technology-heavy positions (e.g., front-end web developer, business analyst, etc.) in information technology and software companies. Learn more about the field of technical communication and your career opportunities. 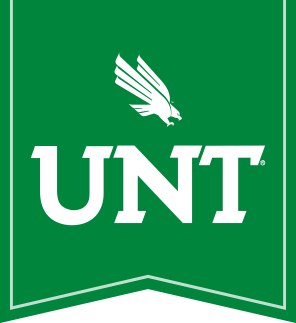 UNT has been named one of America's Best College Buys® for 22 consecutive years. You can use a calculator to estimate your tuition and fees. Get more information about the cost of undergraduate programs. We have rolling admissions so you can apply at any time. If you want to compete for a departmental scholarship, you must apply and be admitted before February 1. Get more admissions information for freshmen or for transfer students. All TECM classes emphasize skills needed in the workplace: like writing documentation, designing for user experience, and coding websites. Students learn advanced software skills (e.g., MS Word, Adobe InDesign, MadCap Flare, etc. ), and most classes involve client-sponsored projects that produce work students can show off to potential employers. Look below for the list of required courses and sample syllabi. You can also download the following files to help you understand what classes you need (in the 2018-19 catalog). Those students who fall under the 2018-19 Catalog are required to take 10 major courses (30 hours). Students are also required to take 2 elective courses (6 hours). Instead of meeting the CLASS-required foreign language requirement like BA students, BS students must complete 2 technology foundation courses (6 hours) from one of the options below. For the complete list of degree requirements visit the Undergraduate Catalog. Not all courses are offered every semester. You can view the planned course offerings here. What marketable skills does this degree develop? Please call the office at (940) 565-4458 to schedule an appointment to meet with the undergraduate advisor.